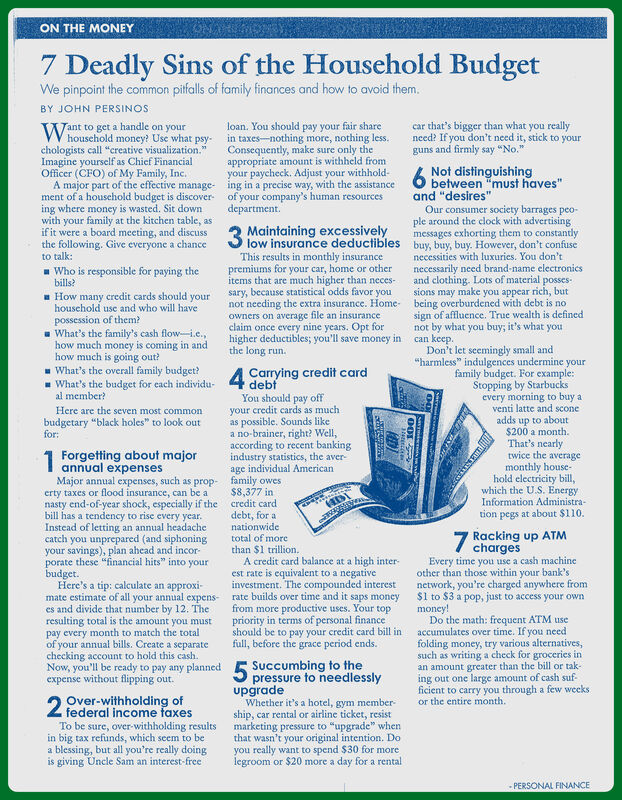 Here is a great read on what to do/not do with your household budget. Most people do not have a strict budget or any budget at all. For new and seasoned homeowners, or even renters, this is a great read with simple common sense advice.